Less than a week out from Tyson Fury’s long awaited return to the ring, promoter Eddie Hearn has opened up about the fights he had planned for the lineal heavyweight champion if he had signed with him rather than rival Frank Warren. Fury, who has used his two-and-a-half years away from the ring to criticise the current crop of leading heavyweights, will face blown-up cruiserweight Sefer Seferi over 10 rounds on Saturday night at Manchester Arena. His comeback could have looked quite different had he signed with Hearn, who revealed in an interview with iFL TV that the three names in the frame for the 6-foot-9 Mancunian were Tony Bellew, Dillian Whyte and Anthony Joshua. “I had to make a decision with Tyson Fury, you know we spoke a lot,” Hearn said. “I have great respect for him and think he’s a great fighter, I just couldn’t put him in with the guys that he wanted to fight. But Fury’s own plan looked vastly different. It started with an opponent like Seferi and continued with… well, two or three more opponents like Seferi. It wasn’t a plan that Hearn could back. “He’s not ready for those fights, not because he isn’t good enough, it’s because he’s been out of the game for a long time,” Hearn said. “But I don’t mind him having the one, but not three or four. If the almost-30 Fury fails to dominate Seferi the way he is expected, it will give his critics plenty of ammunition to fire back at the former WBA, WBO and IBF world champion who has been less than complimentary to the Anthony Joshuas and Deontay Wilders who have sprung to prominence in his absence. 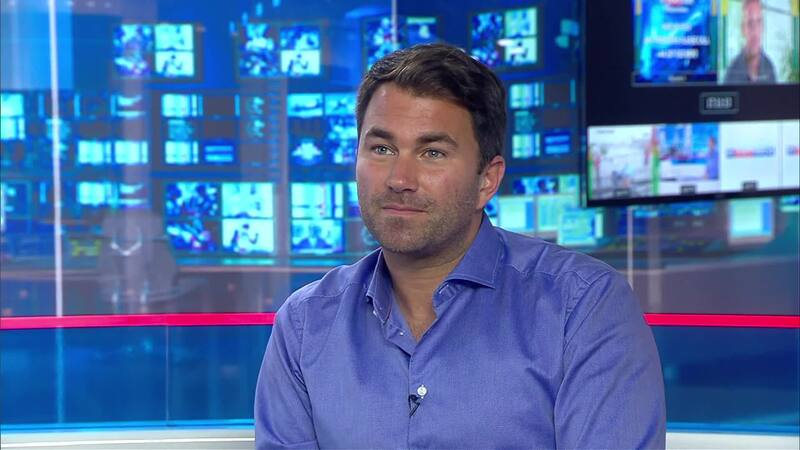 “You can’t call out Joshua, and do this to Wilder or do this to Bellew and then fight an Albanian cruiserweight,” continued Hearn.